As more and more consumers prefer to conduct their retail, banking and other essential business online, it is now more important than ever to keep up with the times in terms of web design, mobile-friendly optimization and overall user experience. Now that choices abound for online retailers and services, discriminating consumers are likely to choose to give their business to the company that makes their experience the easiest, most enjoyable one possible. 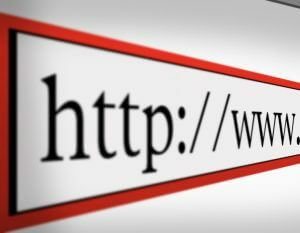 The key to a successful online presence for your business is a well-maintained, up-to-date and user-friendly website. Here are some key components to ensure that your website is functional, efficient and powerful enough to keep up with consumer demand. Is your website mobile-friendly?– For the first time in history, the majority of online shoppers now conduct their ecommerce from mobile devices, such as smartphones, tablets, and in some cases, smart watches. If your website is not optimized for easy usability on a mobile device, you may be missing out on a huge segment of your market. One simple way to make sure your website translates well across all media platforms is to hire a web consulting firm to create a mobile-friendly version of your site for you. This mobile version should have a more interactive feel and work well with touchscreen-specific gestures such as pinching, expanding and swiping left and right. This will make it easier for mobile consumers to shop for items or services from your website while they’re on the go. Does your landing page match keyword search?– Using an analytics tool such as Google Analytics can greatly benefit your company’s efforts to boost its online presence, as it clues business owners into how their site is being found through a Google keyword search. Knowing which keywords generate the most hits for your website is an excellent way to help drive your page visibility by simply including those keywords in the content of your landing page and throughout the content of your website. A SEO (search engine optimization) professional can help you pinpoint those important keywords and utilize them for greater effect. How’s your UX?– When you click a link to get to your website, does it open on the landing page with the correct information? Is the text easy to read and understand? Is navigating through the steps to get to the point of conversion simple and intuitive? This is what people are talking about when they mention UX, or user experience. Above all else, the experience the user has with your website is the most important element of all. After all, if your website is not effectively converting visitors to clients, it is not doing its job. Making sure navigation from page to page, item searches, and payment can all be done easily and seamlessly is a great way to enhance your website’s UX. A web consulting firm can help you make sure everything flows nicely on your site, as well as offer suggestions for areas where improvement may be needed. By making sure your company’s website is mobile-friendly, easy to find in a keyword search, and gives the user the best possible experience, you can put yourself ahead of the competition, strengthen your online presence and earn the business that will put your company into the next level of success.